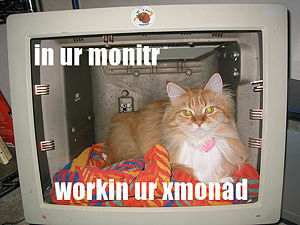 This is the xmonad users' wiki. 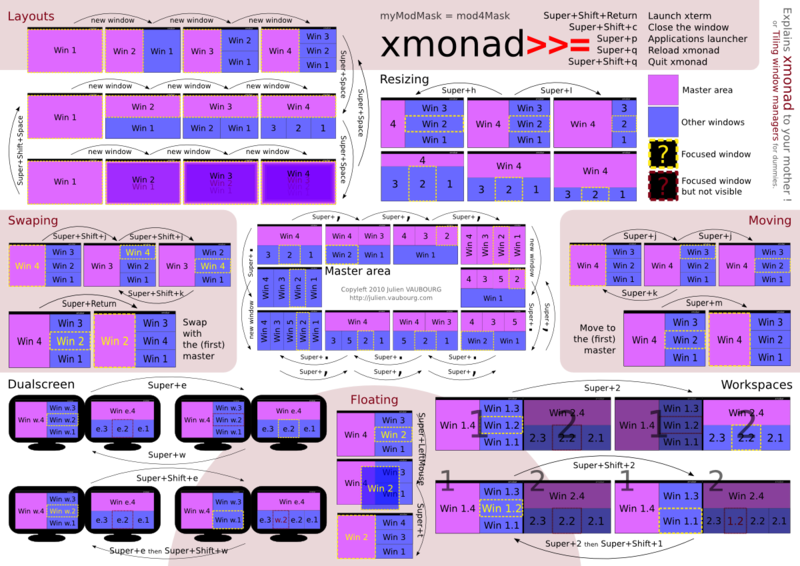 screenshot gallery: screenshots contributed by xmonad users illustrating many layouts. show off your own setup! an example of customizing all settings for the development (darcs) version of xmonad DON'T USE THIS DIRECTLY; it is the same as import XMonad; main = xmonad defaultConfig except that it prevents you from seeing the result of xmonad upgrades. This page was last modified on 14 June 2017, at 23:41.